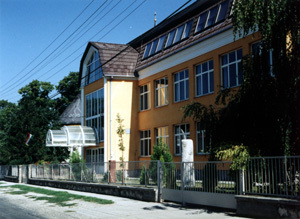 Lébény is situated along the national motorway M1 connecting Budapest and Vienna, 30 km from the western border. A turn-off leads directly into the village from the motorway. The large village is surrounded by Hanság, the flora and fauna of which attract many visitors. You can enjoy the beauties of the countryside by riding a bicycle or walking and on request horse riding is offered for visitors. 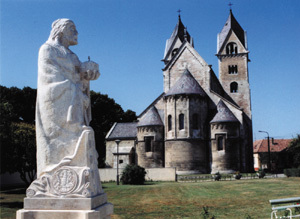 The Romanesque church built in 1206 is one of the oldest and most valuable monuments of Hungary; its village museum presents the fauna and flora of Hanság as well as the agricultural tools used in the region. Other sights include: monuments of World Wars I and II; the statue of St. Stephen; the wooden headboard erected for the Mille-centenary, the double memorial cross of the Millennium, the church of St. James, the chapel of St. Anthony, the statue of St. Florian, the statue of St. John of Nepomuk. Its unexploited values are the medicinal and thermal springs and spring lakes. The new industrial zone with public utilities along the motorway awaits further investment.